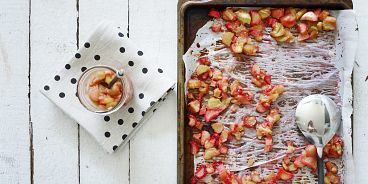 This rhubarb compote recipe is so simple, I bet you’ll read it once and never have to open this page again. Rhubarb compote is very diverse. Use it layered in your granola-yogurt breakfast parfaits, layered on a cracker with your favourite cheese, or simply dumped on top of a steaming bowl of oatmeal.